Besides the freezing cold weather which in NYC is so raw that it often makes my face and hands hurt, there are a lot things I really do enjoy about winter. It’s actually really appropriate that I’m writing this post today because as I sit here in my Batgirl pajama pants and fox slippers I’m admiring snow falling outside my window. If only I didn’t have to get dressed and venture outside for work! Anyway, here are my favorite things about winter! 1) CHRISTMAS – Christmas is my favorite holiday. I’ve often talked about how I consider the Christmas season to start the day after July 23rd (my birthday) but it’s late fall / early winter before other people really start getting into it too. I love having days off from work and spending time with my family and everything else that goes along with this wonderful holiday! 2) Drinking All the Tea – I am a complete tea addict. It even says so on all of my social media profiles but I definitely consume the most of my favorite beverage during the winter months. I’m very fond of my caffeinated teas (green and chai being my favorite), but during the winter I’ll sometimes end up drinking a decaf flavor (gasp!) in an effort to stay warm. 3) Snuggling Under Blankets With a Good Book – As I mentioned above, it can get very cold here in NYC (not as cold as it does in Canada, I have no idea how anyone survives winters there) so much of January-February-March is spent inside under as many blankets as I can find. The cold weather is the PERFECT excuse to stay in and read. Being an introvert, I’d chose staying in and reading about my fictional friends over going out any day of the week. 4) Sweaters, Boots & Scarves – Let’s face it, winter is great time for wardrobes. I love layering tops and feeling cozy in big sweaters and scarves. I live in boots throughout the winter months and while I don’t enjoy being cold, I definitely enjoy purchasing clothing to wear in the cold. Hahaha understandably so! Winter is not my favorite but there are some small things I appreciate about it! That Christmas tree is beautiful! And I love a nice cup of tea when it’s freezing outside! Snowwy cities are my favourite! We don’t get snow like that over here (UK) though! I love the images you chose! And tea is a popular choice for this week’s list. Thank you!! Yes! 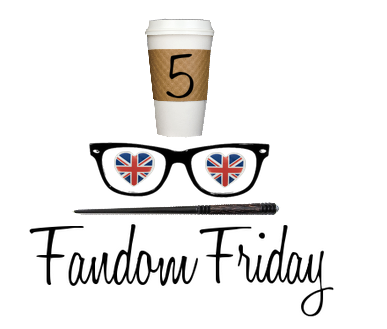 I love that there are so many tea lovers in our geek girl blogosphere! LOVE all the images you picked to go along with your post, you have a great eye! I’ve always wished for a snowy winter where I live! I just get the painful cold without the fun ;) I love starting my mornings with a hot cup of chamomile. Lovely snow and snuggly image. Christmas, blankets, fashion, snow are all welcome in winterl. I want Batman jammies! Is it OK if I join in with this a day late? Your #3 and #4 are spot on. Those are 2 of my favorite things about winter too (and how much do I LOVE winter clothing/accessories!). Christmas is awesome as well and tea and the idea of snow is quite nice. Since I’m in California, I never get white Christmases, and all that snow certainly *looks* pretty. I’d freeze though, lol. that Central Park photo is absolutely gorgeous! I love tea all year round but winter gives you more reason to grab a nice warm cup.